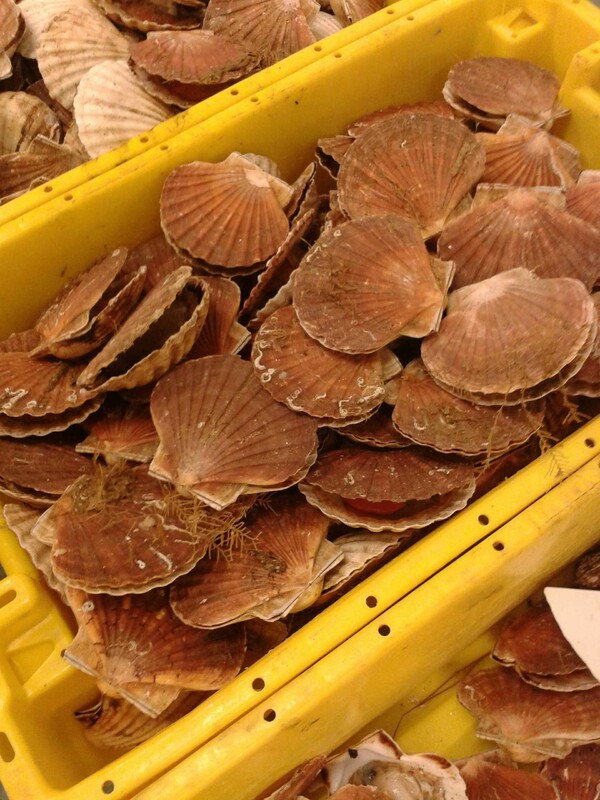 14th-16th April saw GAP2 host and facilitate a pioneering workshop: bringing together scallop fishers from both sides of the Channel for talks to determine the first steps in a sustainable regional management plan for this extremely valuable fishery. This week, over 60 participants from both France and the UK attended a two-day workshop in Devon to develop relationships within the Channel Scallop fishery; Britain’s most valuable non-quota fishery, previously blighted by 2012’s ‘scallop wars’ between French and UK fishermen. Organised by the GAP2 project (an international EC funded research project), attendees, including fishers, fishers’ organisations, scientists, NGOs and Government representatives, took part in fisher-led discussions on the first steps towards developing a sustainable, regional and collaborative management plan. Agreements between French and English delegations were wide-ranging (see below), but were particularly heart-felt when it came to the need for more science and a bottom-up approach, led by industry. – Improved data is vital to the long-term, sustainable future for the fishery. Currently stock and capacity data is poor, which would act as a barrier to developing a coherent regional management plan in the future. – Fishers would welcome the opportunity to support scientific studies directed towards a full scallop stock assessment. Greater resources should be directed towards this kind of participatory scientific research. – A full capacity assessment of scallop boats operating in the Channel should be undertaken. – Particular attention should be paid to ICES area VIId, including the harmonisation of technical measures. This will require further discussion to reach consensus. – All measures must be driven, bottom-up, by industry. Whilst this is already broadly the case in France, in the UK greater emphasis should be placed on fishers’ potential contribution to management planning and decisions. – The establishment of a dedicated working group, with a specific focus on the Channel scallop fishery, would be beneficial to moving forward with agreed suggestions – potentially facilitated through the NWWAC’s current Channel working group. 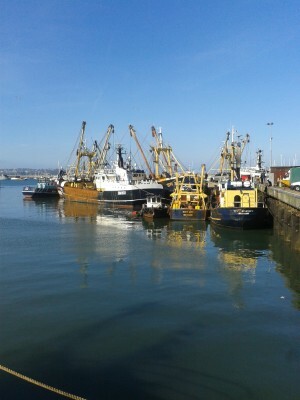 The meeting took place at the heart of the UK scallop industry, in Brixham, Devon. Events began with a reception for all delegates on the evening of Monday 14th April, followed by two days of talks, presentations and excursions across the 15th and 16th April. 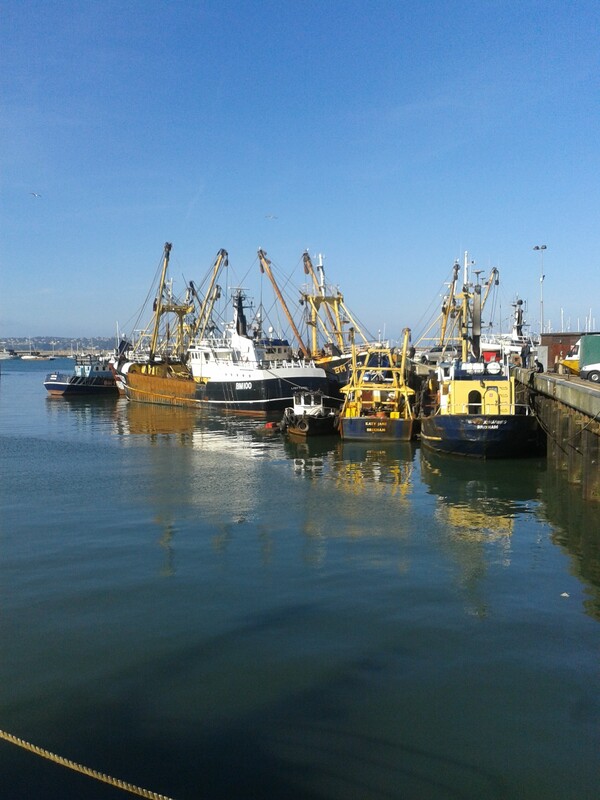 Incorporating field trips to local scallop dredging boats, the Brixham harbour and Brixham fish market, the event offered a flavour of the local community, as well as a range of opportunities for both formal and informal discussions. This entry was posted in GAP2 General, Homepage News, News, Scallops and tagged Brixham, collaboration, GAP2, scallops, stakeholders. Bookmark the permalink.